The levels of security change depending on locks and their condition. Such matters are also related to the expectations one has for a certain property. Simpler locks might suffice for the security of a room where a company keeps its cleaning products but digital ones would be needed for doors, which must be definitely locked to the public and some members of a company’s personnel. Single family homes in Toronto would need much stronger and reliable front door locks than a family would need for its apartment windows. 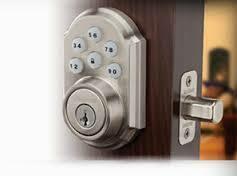 The good choice of lock types ensures the level of security. There might be differences among the expectations of people but they all expect high security levels. There are several lock brands and although they usually specialize in either commercial or residential locks, they can cover both domain needs well. 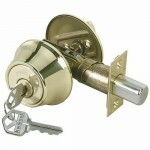 Medeco, for example, is a leader in residential reliable locks but also manufactures high security locks. What you need is to find a solution, which will meet your expectations in terms of security, complies with the official standards in terms of durability and quality, and covers the requirements of your building. The fact that there is a plethora of brands on the market doesn’t imply that every single product they make is of good quality or appropriate to meet your needs. When the time comes to make choices, be very strict. Since each lock is meant to satisfy different needs and there is a plethora of them on the market, don’t invest in options based on their prices. Avoid getting the cheapest choices since they would lack quality, strength or durability. The reason for the numerous choices is to offer you the chance to pick the right locks every single time. From simple padlocks to biometric locks, each system is produced for different purposes. So, don’t get carried away with low prices and don’t trust any brand for the purchase of locks. Just like you trust FC Locksmith Toronto for a reason, choose to trust the products of one or more brands for good reasons, too. It’s good to invest in well-known brands because you have surely heard comments made by other people about their security locks. It’s good to invest in good brands in order to have wide options among door locks. It’s vital to choose locks, which meet certain criteria in terms of their quality. Grade 3 locks should be your last option since it’s better to select higher quality locks. Making the right choice and ensuring lock installation is performed perfectly are both essential for your security.